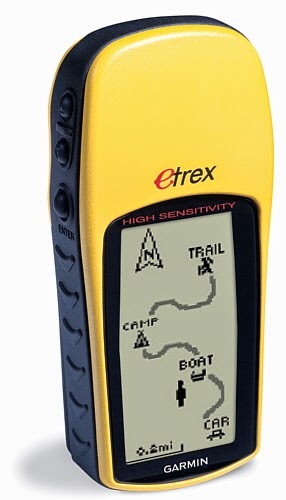 After taking it on a few trips, I soon found that things wouldn’t be so simple: there wasn’t really a way to connect the GPS to a computer. Some found that it had a serial interface but that the cable (to many people’s irritation) is not supplied. 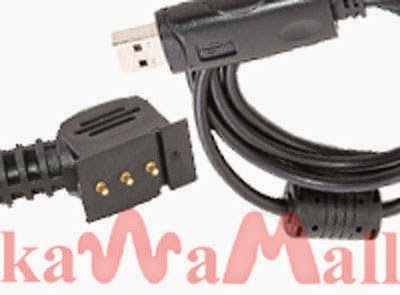 I soon tracked down a cable on Ebay that included a serial to USB converter, which is very handy as computers generally don’t have a serial port anymore. 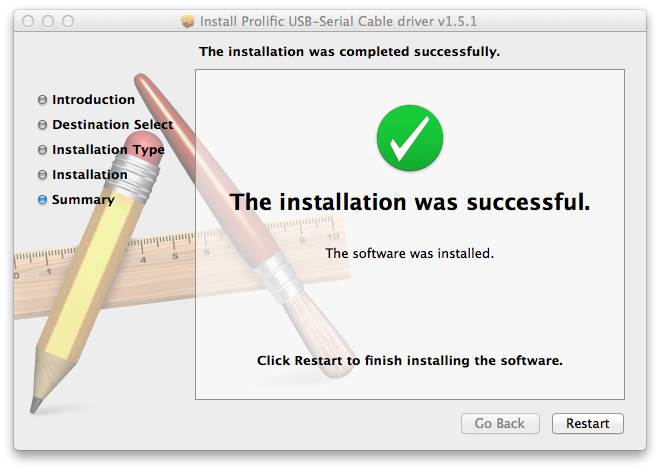 I bought my cable from the KaWaMall eBay Store in the United States (sold as USB & PC data Cable for Garmin Etrex H GPS). Once it had arrived, I decided not to use the drivers that I assume where contained on the mini CD. Instead I went straight to the Prolific website (the manufacturer of the RS232 to USB converter). I logged in using the guest account (username=guest, password=guest) and then clicked the link for the PL2303 USB to Serial Drivers. I was working on a mac at the time so I grabbed md_PL2303_MacOSX-10.6up_v1.5.1.zip file. Once downloaded, I installed the drivers which required a system restart. There where then some optional steps in the manual I followed. First you start up the System Information application. 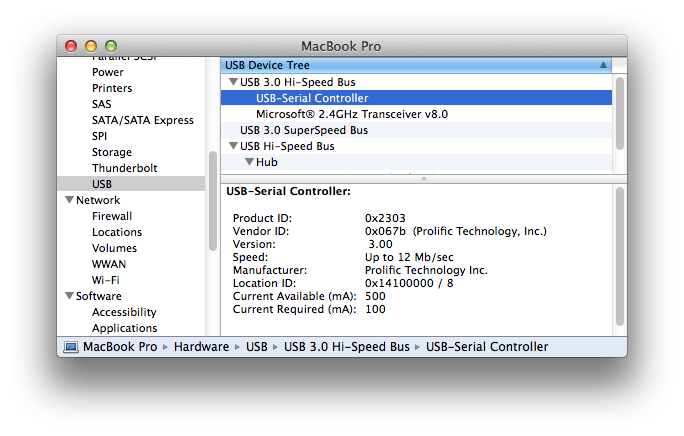 You can then locate the USB-Serial Controller in the USB category. Plug your cable in first, or choose File > Refresh Information once you have it plugged in. Clicking on the controller should reveal that the vendor is Prolific. The command should print “tty.usbserial”. 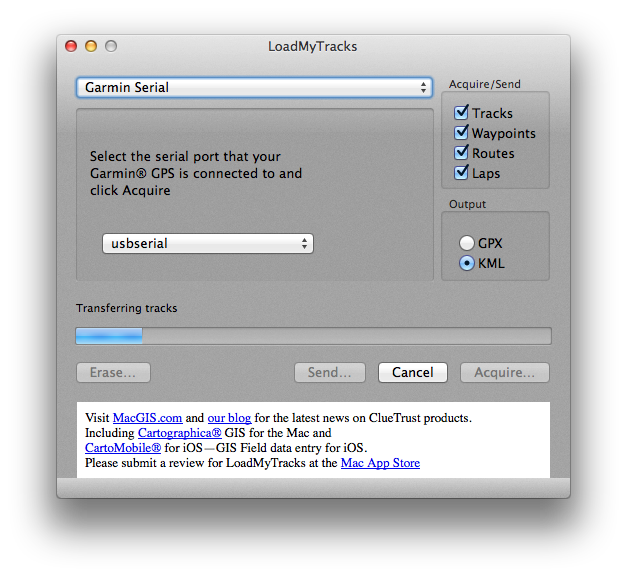 I then download LoadMyTracks which can be used to get the data off the Garmin. I selected “Garmin Serial” from the top drop-down box and then “usbserial” from the second. I selected KML as the output format and pressed “Acquire…”. Voila, it seemed to be working! 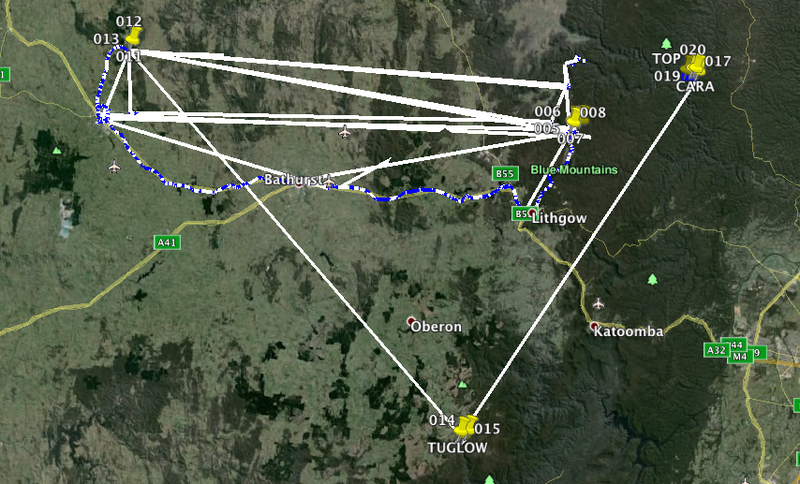 It took a while to finish, but I soon had my KML file which I opened in Google Earth where I happily saw a tangle of tracks and way-points. That was step one done, but the information was a bit messy as multiple trips where joined together. See part 2 for how to clean things up.